Providing you the best range of automatic besan pouch packing machine, automatic powder packing machine, automatic ketchup filling machine, automatic form seal machine, ffs machine with combination weigh filler and automatic curd filling machine with effective & timely delivery. 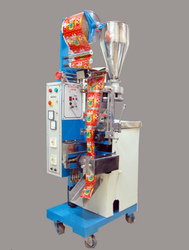 Allpack engineers is the leading manufacturer of automatic pouch packing machine for besan and other sprices. we can use this machine for packing flour and granuals also. Automatic Powder Packing Machine is used to pack the pouch for powder and granules. We can fill 1 Gm to 200 Gm in this machine with change parts and machine design. We have the wide experience in manufacturing the various type of packaging machinery and equipment. They are widely used for the packaging of different product lines chemical powders, curry, detergent powder. They having the improved functionality with filling, weighing & sealing the pouches or bags. Easy to operate with automatic and manual control. They are available in various capacities according to the need and application. 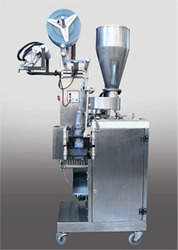 Like powder pouch filling machine, bag filling machine for mass production (floor). 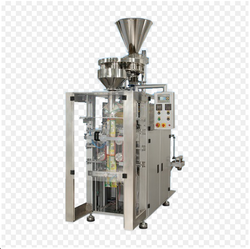 Allpack Engineers is the leading manufacturer of Automatic pest pouch packing machine.Automatic Ketchup Filling Machine offered is backed by latest technology support and allows ketchup packaging in different weights from 100-500ml. Based on automatic functioning, these machines allows easy and convenient support for bag formation, filling, easy tear notch making and other options. Some of its features include option of printing date, advanced PLC control operations, easy and simple maintain interface, photoelectric sensor tracking system for achieving precise bag width and film positioning, digital temperature controller, allows easy and fast change over adjustment and others. We are offering Automatic Form Seal Machine to our clients. 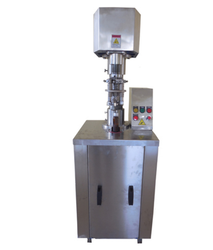 We are leading manufacturer and exporter of FFS Machine With Combination Weigh Filler. 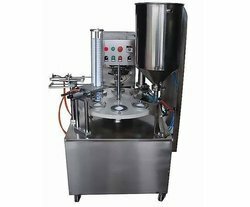 Automatic curd filling machine is regularly used in packing curd milk and butter milk in cup by acurate. We are offering Automatic Form Fill Machine to our clients. 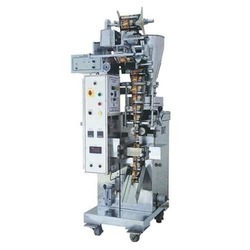 We are offering Vertical Form Fill Seal Packing Machine to our clients.